Why Buy Hackett Coats? | Style Me B.A.D. The fashion house Hackett is perhaps not as widely known as other designer names, like Dolce and Gabbana, Prada or Gucci, but it is definitely in the same class. 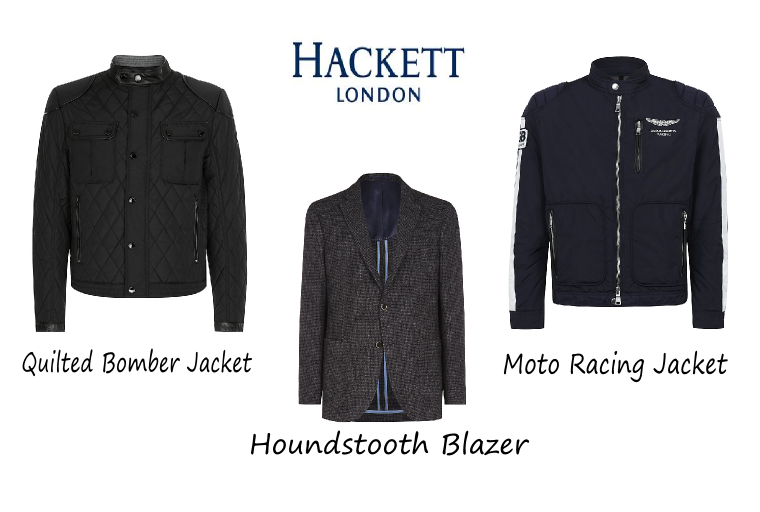 Not widely imitated, the Hackett brand has retained its exclusivity and appeal to those of truly understated wealth. With the opening of its latest store prominent on Regent Street and with its clothing frequently seen being worn by Prince William this is a designer name that is one to invest in. A relatively new fashion house in the scheme of things, founded in 1979 in Portobello the brand initially traded in second-hand clothing before beginning to design and create their own pieces. Now they are perhaps best known for their designer coats, tailored suits and jackets. It is perhaps the label’s designer coats that best exemplify the quality and craftsmanship of their work: from their Aston Martin racing jackets and padded gilets that typify the British sporting connection with the brand, to the paddock and Houndstooth jackets that are so reminiscent of the upper class British gent. 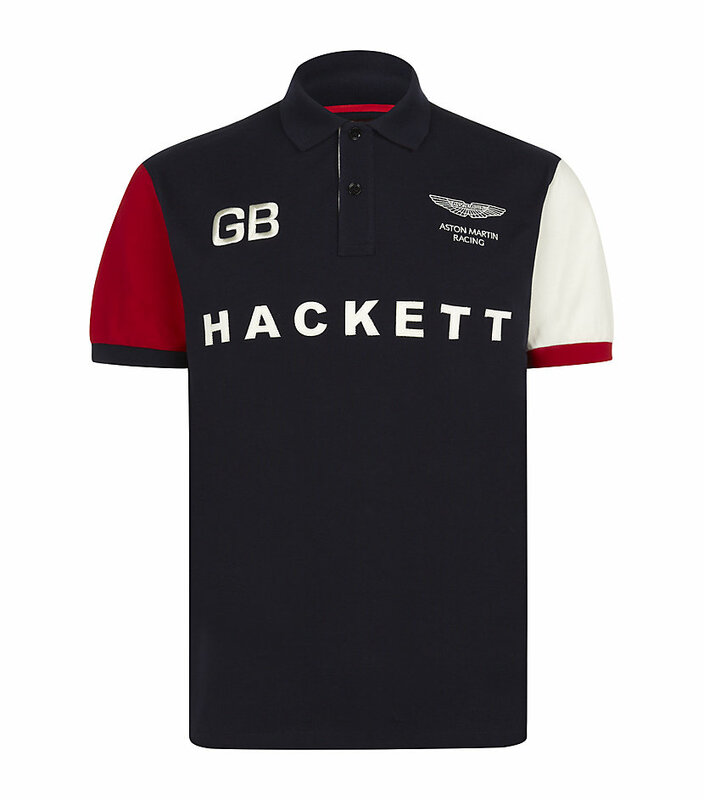 Aside from high quality coats and tailored jackets, Hackett is perhaps best known for its range of sports shirts, notably their polo shirts (worn by Prince William) and Aston Martin designer coats. They also have a range of children’s clothes. Polo shirts layered with Aston Martin knitwear and duffle, paddock or racing designer coats create a classically British outfit for young boys, whilst young girls have a selection of pale pastel, tailored polo or long-sleeved shirts to choose from and team with trousers or shorts. Hackett London’s 2013/14 collection is dominated by combinations of luxury pieces with essential wardrobe items enabling wearers to create multiple outfits from a fairly modest number of selected items. Hackett may not be a name that is shouted about and splashed around but it is certainly one to invest in if you are shopping for designer coats. Their classic designs and subtle, earthy colours are easy to combine with your existing wardrobe or to layer with other Hackett pieces. Take a look around one of their stores or at their department within Harrods and feel the quality of the material and cuts for yourself, or go online and take advantage of the high-quality images of the Hackett clothing available at Harrods to enable you to shop online. Are you excited to wear coats again soon? I do like this hereditary style.